I was browsing doramax265 and found this drama. Apparently, there’s a movie and serial edition, same cast – Kuroki Haru and Ayano Go. Nanami (Kuroki Haru) is a shy and soft-spoken part-time teacher who also works at a convenient store. If you’re watching Juhan Shuttai! this season, you would know that Kuroki Haru is playing a very enthusiastic and passionate character there, so Nanami is like a total opposite of Kurosawa. It slightly reminds me of her character in Tenno no Ryoriban (she was fabulous in that drama). In class, her students actually prepared a microphone for her with the excuse being, her voice is too soft and they can’t hear what she’s teaching. They’re obviously teasing her but instead of getting mad, she uses the mic, much to the students’ amusement. First episode is SO GOOD. If you like Hanzawa Naoki or maybe Roosevelt Game, then this is right up your alley. It’s similar to Hanzawa Naoki without over-reacting characters. 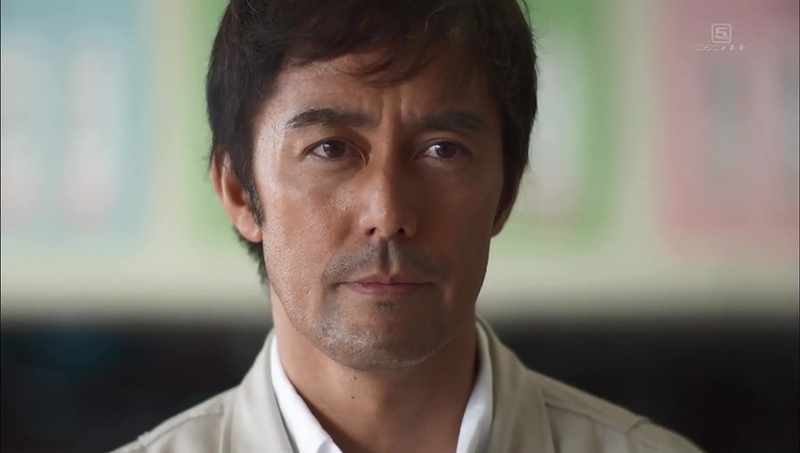 I think one of the reasons why some people didn’t like Hanzawa Naoki is because of the excessive overreacting in the show which I think is true but that aside, Hanzawa definitely deserved the high ratings it got. Still waiting for Season 2 to be honest and I need Masato Sakai to reprise his role. I’m aware that there was a previous WOWOW production of this show, which I haven’t got the chance to watch. Maybe in the near future, if I can get my hands on it. While I think most WOWOW production shouldn’t disappoint, this TBS remake is quite impressive too imo. I finally have the time to sit down for the 1hr 30 mins pilot and some scenes just sent chills down my spine as well as almost making me shed tears as I shared frustration, anger and disappointment with Abe Hiroshi’s character. 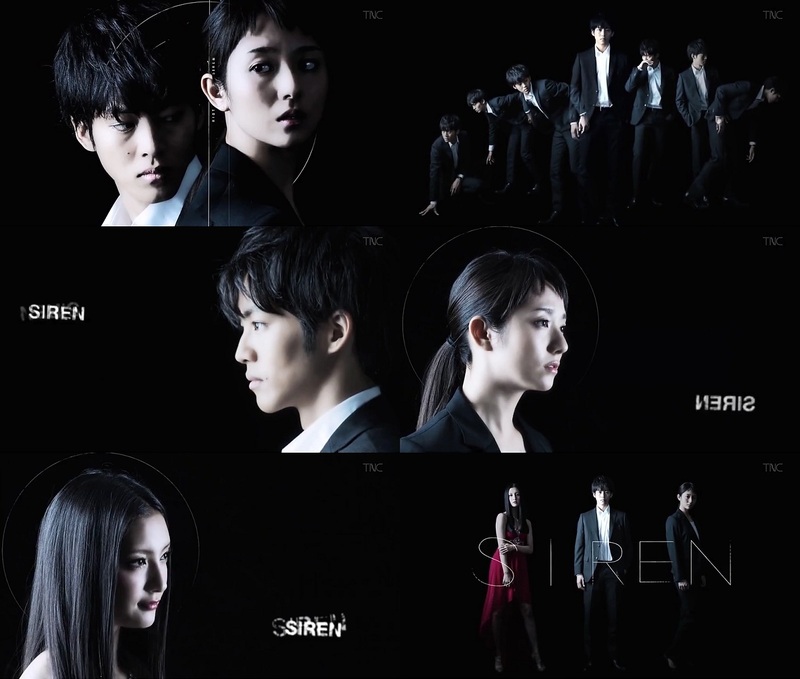 Siren is currently one of the most heavily promoted dramas under FujiTV. I don’t even see this much promotion for their getsu9 probably because they’re confident it will score decent ratings with both Ishihara Satomi and Yamapi. One of the main reasons that I can think of why they put extra effort on getting Siren known to the public is because of the cursed time slot that is Tuesdays 10pm. Remember the disastrous HEAT that scored one the lowest viewership ratings in FujiTV’s history with a mere 3.84% last season and the one in Spring, Tatakau! Shoten Girl (4.69%). Before these two shows, Zeni no Sensou (13.27%) has the lineup of SMAP’s Kusanagi Tsuyoshi, Oshima Yuko, Kimura Fumino and Watabe Atsuro. The high rating’s most probably due to Kusanagi’s starpower and decent plot. With this, it’s obvious they’re desperately trying to save this time slot. Some of the elaborate promotions they’ve done were numerous posters along the stations including a temporary booth with some goods on sale. I’m not sure how well the reception is but it seemed to work. They also tried to give a longer lasting impact by offering a 2-hour special first episode. The viewership rating is 12.9%. Decent if you ask me. Good enough. The promotions probably paid off even if a little. It’s going to be a challenge though to maintain the ratings. Here’s to hoping they won’t screw it up in the future. Personally, I don’t care much about ratings but it doesn’t feel nice either to watch actors/actresses you like suffering low ratings. So I’d be happy enough if at the end of this, the average is around 8-10%. After watching the first episode of Kounodori (TBS), I just have to make this post. I think so far, of all the first episodes that I’ve seen this one left the deepest impression on me. Solid start. Looks like TBS is delivering another very heart-warming drama. Tenno no Ryouriban in Spring was excellent. But last season’s 37.5 no Namida was just so-so. I think they’re stepping up their game for this. Plus, they got Ayano Go and Oguri Shun onboard. Even though Oguri Shun is just going to be a guest for several episodes, I’m sure it’ll bring in some ratings. Speaking of ratings, personally I don’t really care about it because they don’t truly represent the shows’ quality. However, there’s no denying that ratings do affect certain actors/actress’s selling capability so it’s still important in certain ways. But viewers definitely should not be swayed by ratings and watch whatever that interests them. 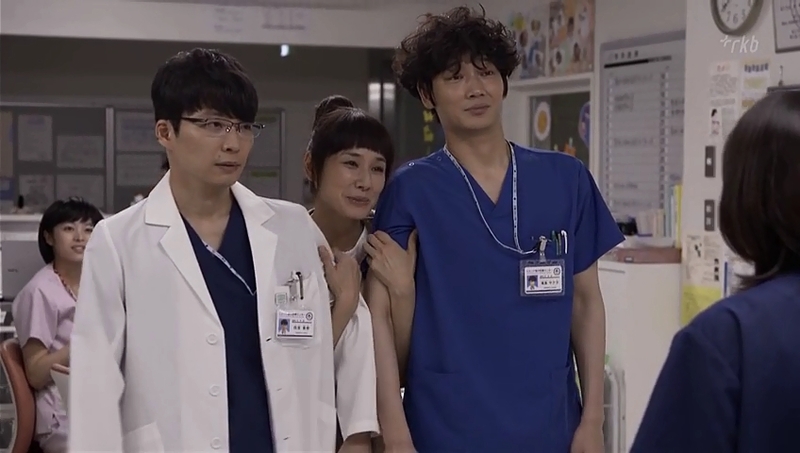 Umi ni Furu harbors some striking similarities with the previous WOWOW drama Ishi no Mayu. One thing in common is that both lead characters are females who admire their deceased fathers and follow in their footsteps. While in Ishi no Mayu, Toko Kisaragi becomes a police, here, we have Miyuki Amagai (Kasumi Arimura) who is aiming to be a JAMSTEC pilot ( Japan Agency for Marine-Earth Science and Technology). She was inspired when her father would use to tell her fascinating stories of the world underneath the sea. Both leads also face some kind of gender inequality in their workplace. While it’s not very obvious in Ishi no Mayu, it’s voiced out blatantly in Umi ni Furu. Miyuki has a boss who looks down on her and doesn’t really allow her to do anything extra, pinning the excuse on the fact that she’s a rookie. Her colleague also mentioned how the manned submersible research ship 6K (Shinkai 6500) team environment is a men’s world.